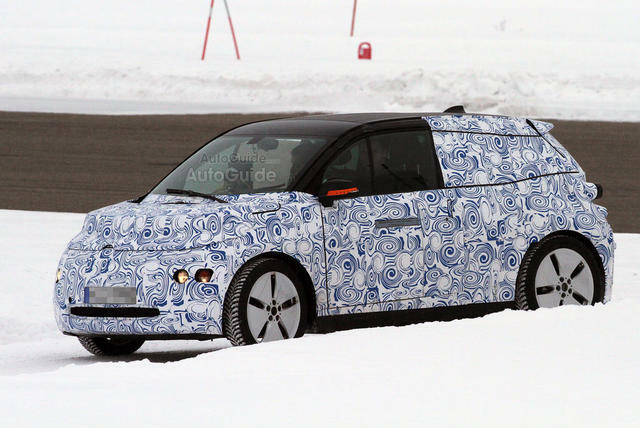 These newest spy photos show the i3 playing around in some snow in the European north, and looking like it could be ready for the road fairly soon. The i3 will feature a carbon-fiber reinforced plastic chassis to make it incredibly light, and along with the BMW i8 will be the first high volume production car to utilize such technology. The nose on the i3 actually looks like it has changed a little bit since we last saw it in our first batch of spy photos. Clearly BMW is hard at work on the i3. The fully electric i3 makes roughly 170 hp and 184 lb-ft of torque and thanks to a weight of roughly 2,755 lbs is expected to accelerate to 60 mph in around 8 seconds. At the unveiling of the concept version at the Frankfurt Motor Show last year, BMW announced the i3 would be in dealers by the end of 2013.